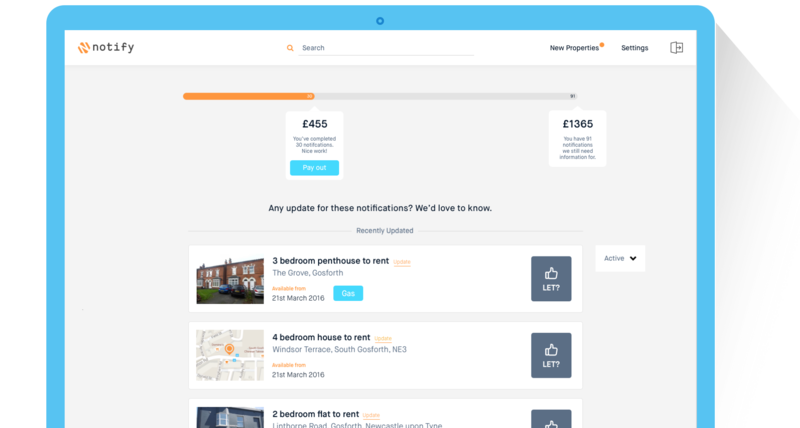 We reward all leads submitted 4 days (or more) before the tenancy start date, depending on the lead time you could earn up to £30 (plus VAT) for Void notifications and up to £15 (plus VAT) for Inform Only notifications. You will be guided through the process by our in house on-boarding team. This means that you can hit the ground running with all your questions answered. Register your property through Notify, giving 14 days notice before it becomes vacant, and we will cover the void period for up to 30 days! All of those hours you’ve spent on the phone to utility providers? Gone. Never again.